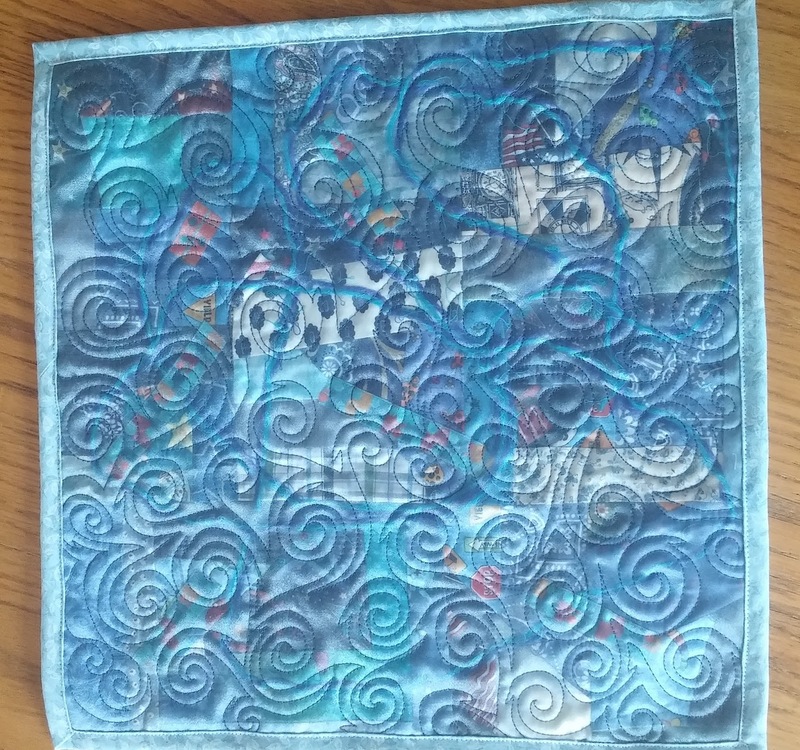 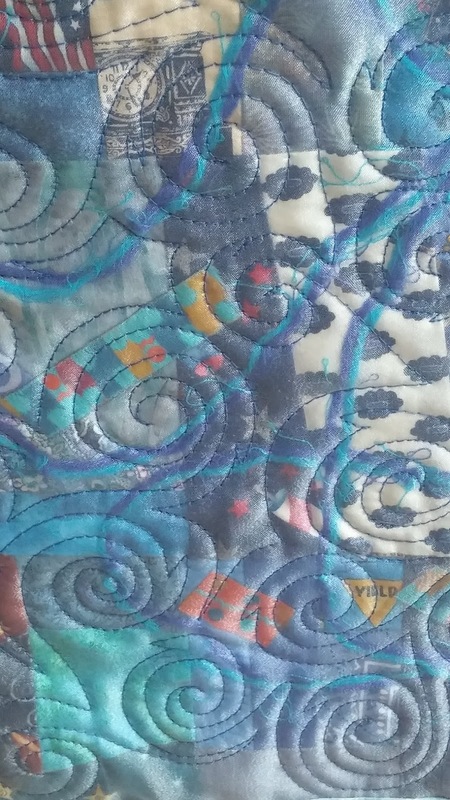 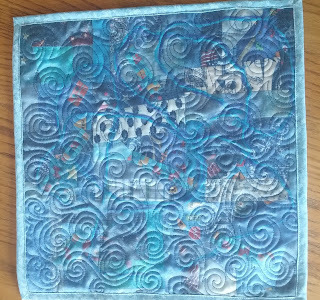 The quilt has a pieced background of multiple blue fabrics, overlaid with snippets of blue/orange ribbon & blue/turquoise synthetic yarns and covered with a medium blue rayon. Cotton batting & backing. 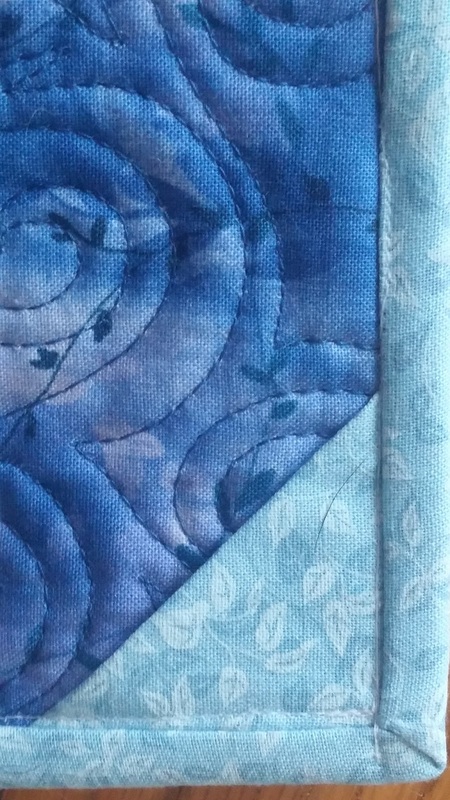 Hanging pockets on the back.